Hair regeneration, is it possible? Akin to a holy grail, regenerative medicine has led people to extreme lengths. Hair loss in particular has proven to be elusive to treat. Hair is undoubtedly valuable to us, is tied to our identity, and is a means of self-expression. Cultures throughout history have developed their own specific remedies for hair problems – yet none have truly worked to date! This has not stopped scientists of the modern era from attempting to coax, prod, and beg the scalp to produce hair and restore the hairline. So where are we now? Far from folk remedies such as egg masks and licorice root, we instead seek for the remedy from within by accessing the body’s own regenerative capabilities – stem cells. With any cutting edge medicine, it is not uncommon to find individuals pushing safety limits and marketing unproven therapies. Here we explore the exciting science behind the potential of adipose derived (i.e., fat-derived) stromal vascular fraction cells (SVF) in treating androgenetic alopecia (i.e., male and female pattern baldness), scarring alopecia, and alopecia areata (i.e., auto-immune induced baldness). Hair and fat is a seemingly unlikely pair. A surprising growing body of research in the field of hair regeneration is determining the tight linkage between fat and hair; dermal white adipose tissue is the fat associated with the structure. This layer of fat tissue expands significantly during the growth of hair and shrinks when the hair follicle is at rest. Before getting to the treatments, let’s introduce a few concepts in hair physiology. Hair in humans does not grow all at the same time. Most mammals experience growth of hair followed by a distinct shedding phase. Humans have what is called asynchronous hair growth which begins shortly after birth (1). This means that the scalp, as well as the body, has follicles that are growing and losing hair at all times. Roughly 80% of follicles are actively growing hair (i.e., are in the anagen phase). 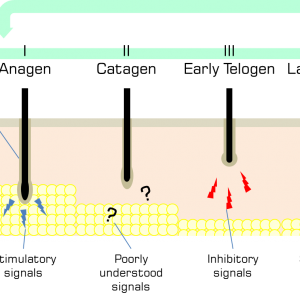 The remaining 20% of follicles are in a combination of resting with hair (i.e, the catagen phase), are actively shedding hair (i.e., the early telogen phase) or are in a quiet resting phase without hair waiting for the signal to start growing hair again (i.e., the late telogen phase). That is why it is normal to see some hair in your comb each day. The early evidence of the link between fat and hair was produced by researchers observing the increased thickness of fat surrounding the follicle at each stage of the hair cycle (2). In mice and humans, it was observed that the fat cells have an equivalent cycle where they increased in number and in size. Studies of the various cell types contained in adipose tissue found that the hair cycle could be disrupted (e.g. hair growth could be stopped) if fat cells were experimentally blocked from completing their life cycle (3). The fat tissue that houses hair follicles is called dermal white adipose tissue which for simplicity we will call simply fat tissue. Fat tissue is composed of various types of cells, some that contribute to the hair cycle and most that do not. Fat tissue contains two distinct populations. The first is the white fat cells that contain the fat and provide the tissue with its visual anatomy. The second population is the stromal vascular fraction (SVF) which is rest of the cells who have diverse functions other than fat storage. The SVF is composed of circulating blood cells, fibroblasts, pericytes, endothelial cells, and pre-adipocytes (4). Pre-adipocytes are the cells in fat tissue that have potential for regenerative medicine. These cells are also known as adipose stem cells (4). Adipose-derived stem cells possess the ability to drive the hair cycle as well as the ability become other cell types that could be harnessed for regenerative medicine. Characteristics of good therapeutic stem cells are: their abundance, their ability to be obtained by a minimally invasive procedure, their ability to differentiate into multiple cell types reproducibly, and their ability to be successfully transplanted (4,5). Most adult stem cells are found in low abundance in tissues like the brain, liver, and lung. 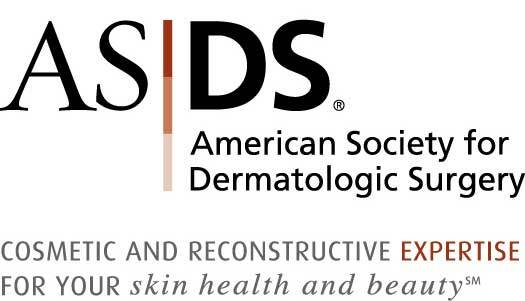 Adipose presents a vast resource that is routinely accessed in liposuction surgeries. Adipose tissue is only composed of roughly 3% adipose stem cells and while this percentage seems like a low amount, it is large when compared to other routinely accessed sources of stem cells such as bone marrow (~0.01 %) (6,7). This makes adipose an excellent source of stem cells. The hair follicle grows and recedes during the course of the hair cycle. During anagen, or hair growth, the follicle is at its largest. At this time the fat tissue layer is also at its thickest, engulfing the hair follicle, and some of the adipose stem cells begin to proliferate and begin to differentiate into adipocytes (8). The follicle continues in anagen, growing a hair for an average of 3-10 years. Upon the start of catagen, when the hair ceases to grow, the follicle begins to send signals to the fat tissue to cease proliferation of adipocytes, resulting in fat tissue shrinkage. During early telogen the follicle and fat tissue are at their smallest. It is at this point that the mature adipocytes of fat tissue begin signaling to the hair follicle to remain in the resting phase and not to produce hair. After receiving an unknown activating signal, the adipose stem cells that have been quiet during most of telogen, begin signaling to the hair follicle to return to anagen and begin the cycle once more. The regulation and communication between the hair follicle, the adipose stem cells, and the white fat cells (mature adipocytes) drive hair follicle cycling in a form of a feedback loop. The hair follicle sends various signals for the fat tissue to expand. The mature adipocytes conversely, signal for the hair follicle to remain at rest. The adipose stem cells signal to the hair follicle to grow and start producing hair. This raises the question: how can the hair cycle be influenced therapeutically to be restarted once it has stopped? Experiments injecting adipose tissue in mice and rabbits indicate that mature adipocytes are able to stall hair regeneration (9). This indicates that it would not be sufficient to simply inject small amounts of adipose tissue into the scalp because the injected cell population would contain some mature adipocytes (inhibitory) and some adipose stem cells (stimulatory). By contrast, Festa et al. (2011) found that injection of adipose stem cells into the skin of mice whose hair follicles were in telogen was enough to start hair growth, initiating anagen (3). From the data derived from mouse and rabbit studies it was determined that it is necessary to separate out the adipose stem cells from the whole adipose tissue. Accessing the adipose tissue is easy enough and can be drawn from the abdomen with a syringe or saved from liposuction surgery. As mentioned earlier the functional cells of fat tissue are contained in the stromal vascular fraction and do not contain white fat. Prior to administering the cells as a treatment they need to be purified away the white fat cells. This purification can be performed by centrifugation. Fat containing cells will not sink to the bottom of a tube due to their fat content. The purified cells can now be further processed in a lab or administered as they are. 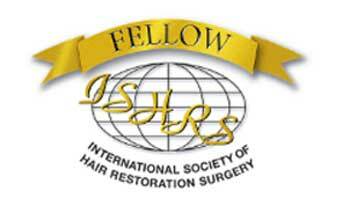 What does the future hold for adipose stem cell treatments for hair loss and hair regeneration? The FDA has investigated how to speed up approval of cell-based therapies while still maintaining safety standards (10). 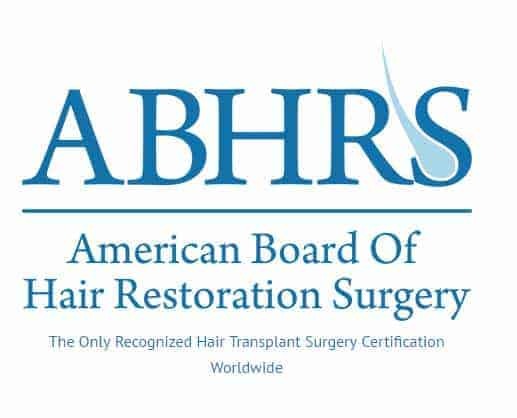 Currently there are two intriguing clinical trials utilizing adipose stem cells in hair regeneration, and these trials have been registered with the National Institute of Health (NIH) (https://clinicaltrials.gov/). These clinical trials are being undertaken by Dr. Ryan Welter (Regeneris) and Healeon Medical (11,12). The first trial (NCT03078686) is studying the safety and efficacy of SVF cell and tissue injections for the treatment of scarring alopecia and alopecia areata (11). The trial is randomized, where patients are assigned to either receive the experimental treatment or placebo. Also the trial is triple-blinded, meaning the patient, the physician administering treatment, and the physician measuring the outcomes are all blinded. The aim of blinding of all of the stakeholders in a trial ensures objectivity and that there is no introduced bias; this method represents the highest caliber of experimental design. The primary outcome of the first trial is to determine if the treatment is safe and whether there are any adverse events caused by treatment. Secondarily, they will determine the level of induced hair growth and patient satisfaction. The second major trial (NCT02849470) is studying the regeneration of hair in patients experiencing androgenetic alopecia (12). 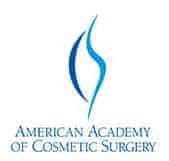 Both trials involve the direct injection of ASCs into the scalp. Currently, FDA-approved uses of stem cells are limited to those transplanted from bone marrow (13). This is based on vast amount of clinical trial data that has backed-up its use for the reconstitution of the immune system following radiation or chemotherapies. Coinciding with all of the hype surrounding stem cells (and their purported abilities to heal any disease and fight off aging), is the unscrupulous marketing and administering of potentially dangerous stem cell therapies to desperate and uninformed patients. In other words, stem cell treatments that are not FDA-approved may be improperly marketed (or at worst) dangerously ineffective when used. That is not to say that no treatment will ever be developed. It simply means that efficacy and safety has not been determined. Dosing and efficacy must be determined through rigorous and repeated randomized, blinded, clinical trials. Usually, the introduction of any FDA-approved medical treatment to the public is predicated on passing numerous rigorous standards, and the requirement for such rigor is not necessarily a bad thing – if anything it’s arguably almost essential. The FDA’s mandate is not only to protect the public from harm, but also from exploitation. Clinics around North America and the world are currently offering unapproved stem cell treatments. While some of this is driven by patient demand, most of it is driven by financial gain (and with disregard for patient safety). 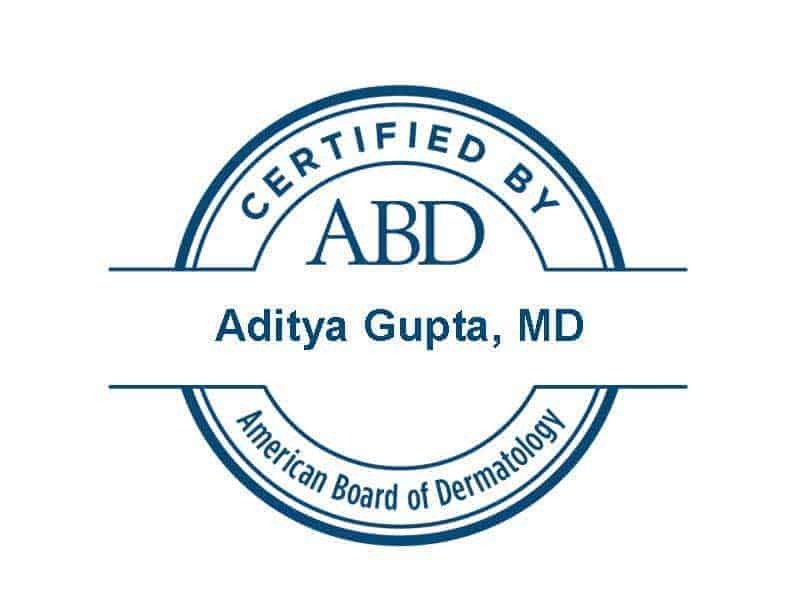 If you are unsure about a treatment being offered, review the detailed resources that the FDA provides for patients on a wide range of treatment classes (https://www.fda.gov/). Exciting research in the field of hair regeneration is ongoing and this may open up new avenues of treatment for people experiencing hair loss due to various causes. The above clinical trials will provide scientific evidence on efficacy for therapeutic use of adipose stem cells in hair regeneration. Unger WP, Shapiro R, Unger R, Unger M, editors. Hair Transplantation. 5th ed. Informa Healthcare; 2011. 538 p.
Chase HB, Montagna W, Malone JD. 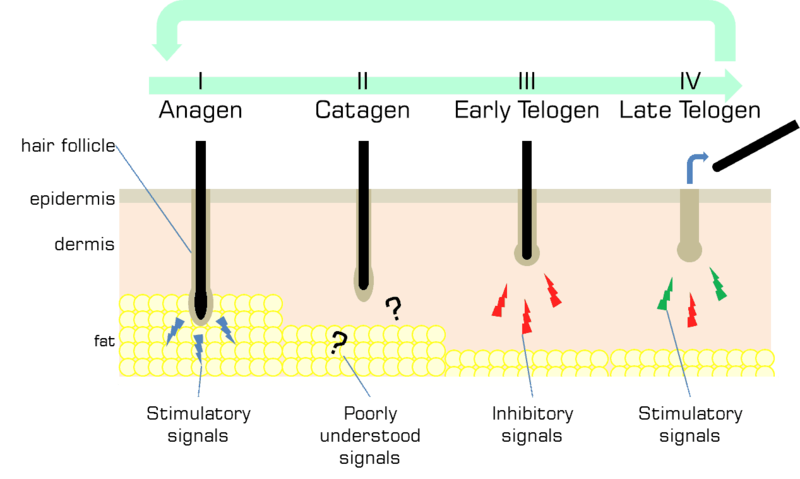 Changes in the skin in relation to the hair growth cycle. Anat Rec. 1953 May;116(1):75–81. Festa E, Fretz J, Berry R, Schmidt B, Rodeheffer M, Horowitz M, et al. Adipocyte lineage cells contribute to the skin stem cell niche to drive hair cycling. Cell. 2011 Sep 2;146(5):761–71. Bunnell BA, Flaat M, Gagliardi C, Patel B, Ripoll C. Adipose-derived stem cells: isolation, expansion and differentiation. Methods San Diego Calif. 2008 Jun;45(2):115–20. Gimble JM. Adipose tissue-derived therapeutics. Expert Opin Biol Ther. 2003 Aug;3(5):705–13. De Ugarte DA, Morizono K, Elbarbary A, Alfonso Z, Zuk PA, Zhu M, et al. Comparison of multi-lineage cells from human adipose tissue and bone marrow. Cells Tissues Organs. 2003;174(3):101–9. Zwick RK, Guerrero-Juarez CF, Horsley V, Plikus MV. Anatomical, Physiological, and Functional Diversity of Adipose Tissue. Cell Metab. 2018 Jan 9;27(1):68–83. Plikus MV, Chuong C-M. Macroenvironmental regulation of hair cycling and collective regenerative behavior. Cold Spring Harb Perspect Med. 2014 Jan 1;4(1):a015198. Marks P, Gottlieb S. Balancing Safety and Innovation for Cell-Based Regenerative Medicine. N Engl J Med. 2018 08;378(10):954–9. Marks PW, Witten CM, Califf RM. Clarifying Stem-Cell Therapy’s Benefits and Risks. N Engl J Med. 2017 Mar 16;376(11):1007–9.